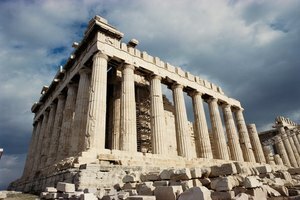 If you’ve ever marveled at a building, you can probably thank the early Greeks or Romans for it. Despite not having the advantage of our modern-day advances in technology and machinery, the ancient Greeks and Romans constructed spectacular buildings using architectural forms and principles whose influence reached global proportions and is still evidenced in various structures throughout the world. 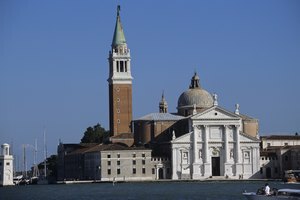 The Greeks and Romans created unique styles of architecture that together are known as classical architecture and continue to influence modern architects. 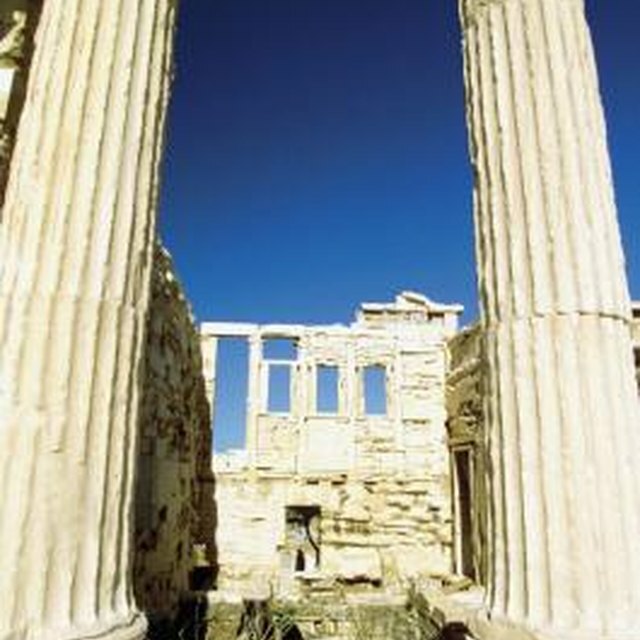 The ancient Greeks developed three architectural styles called the Doric, Ionic and Corinthian orders. Each style has its own flare and can be most easily identified by its type of column. The Doric order employs the earliest and simplest column, which has a capital (top) and a shaft (the length of the column) but no base. The Ionic order called for a more decorative design that included volutes (scroll-like decorations) on the capital, flutes (lines) carved into the columns and a base that gave the appearance of rings stacked on top of each other. Taller shafts and a special bulge in them called entasis gave the Ionic columns a leaner and more graceful appearance than their Doric counterparts. The Corinthian order is the most decorative and elaborate of the Greek styles. The Corinthian style is also the only one that employs a flat roof. Limestone and marble were the materials most commonly used to construct the temples and public buildings. The architectural legacy of the ancient Greeks lived on in Roman architecture where all three of the established orders continued to be employed. The Romans preferred the Corinthian order and added their own flare to it by making it even more decorative and elaborate than the Greeks had. While Roman architects followed the Greek orders, they also experimented with concrete, arches and vaulting that propelled them into their own right as architectural engineers. The Romans shaped the interior spaces of their buildings to make them equally as remarkable as their exteriors. While the Greeks are known for their columns, the Romans are known for their arches, which were used for both design and support in numerous buildings and monuments. Romans used arches to build aqueduct systems, which allowed them to funnel fresh water into their cities. Arches were also employed in the construction of the Colosseum and were even built to celebrate war victories. 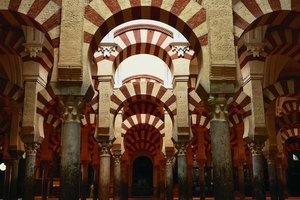 In addition to helping supply the city with water, Roman arches led to the development of domed ceilings that were used to build both public buildings and private dwellings. The most obvious similarity between Greek and Roman architecture is the use of the Doric, Ionic and Corinthian orders. Though the Greeks developed the Corinthian order, the Romans seemed to have favored it more and constructed more buildings using that order than the Greeks did. Roman architecture borrowed heavily from the Greeks, but the Romans eventually made a unique name for themselves in the architectural world with their innovative use of arches and vaulted ceilings. 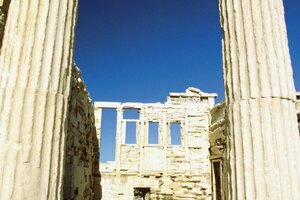 Both Greek and Roman architecture continue to influence modern architects. Barroso, Kristina. 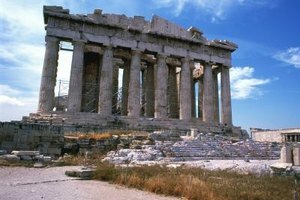 "Similarities & Differences of Greek & Roman Architecture." 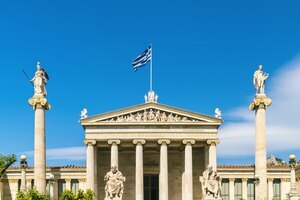 Synonym, https://classroom.synonym.com/similarities-differences-greek-roman-architecture-8073431.html. 25 June 2018.